It’s been a bit since we’ve featured some Superfab Non-Fiction Selections so that’s what we’re treatin’ ya to this weekend! Ed first learns I have written a book when I hand him a finished manuscript. Naively, I imagine he’ll be flattered, but when he reads it, he blows his stack and stops speaking to me. He’s furious. I am revealing more about him, more backstage gossip and more details about the inner workings of the show than he wants made public. Fortunately for me and for Always On Sunday, Ed simmers down eventually and decides my unauthorized biography is “magnificent.” He promotes it in his newspaper column, in interviews and in joint television appearances with me. Ed helps turn the book he initially hated into a national bestseller. Ed was warned not to sign the Beatles: “You’re crazy! No British group has ever made it big in this country.” A month before they arrive, they are still unknown in America. Every reporter I contact turns down my invitation to go with me to JFK. Two weeks later, “I Want To Hold Your Hand” rockets to the top of the charts. Beatlemania crosses the Atlantic, and I am besieged by thousands of ticket requests. Reporters plead to join me at JFK. On February 14, I greet the Beatles again, this time in Miami for a second Sullivan show. I do my best to stay out of the way but, thanks to papparazzi determined to cash in on every shot of the Fab Four, I appear in photos published around the world (including the NY Post). In the captions I am called a Beatle, a case of mistaken identity I still laugh about with my wife, best-selling novelist Ruth Harris. Ed And The Celebrities Who Loved Him — Or Not! Why did Frank Sinatra take out an ad saying, “Ed, you’re sick, sick, sick.”? You’ll find out in Always On Sunday. Why did Mary Tyler Moore sue “The Ed Sullivan Show”? Why did CBS cancel Bob Dylan’s appearance on “The Ed Sullivan Show” — against Ed’s wishes? Elvis’ fans kissed him where? Ed was stunned when Elvis explained. What did Elvis say? The Atomic Times, my 2005 memoir, is based on a more fraught experience: the shocking, funny, sad and raunchy portrait of army life on a nuclear Pacific island in 1955 where troops were used as human guinea pigs during 17 H-bomb tests. 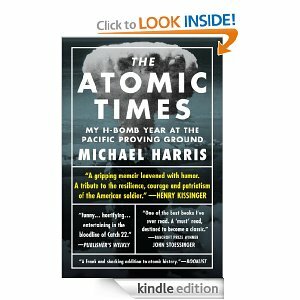 MICHAEL HARRIS began writing The Atomic Times in 1955 when he was an army draftee stationed on Eniwetok and finished fifty years later. In between, he married novelist Ruth Harris and spent years as a public relations executive at CBS Television, eleven of them on The Ed Sullivan Show — he was the first person to welcome the Beatles to America on their initial trip to the United States. 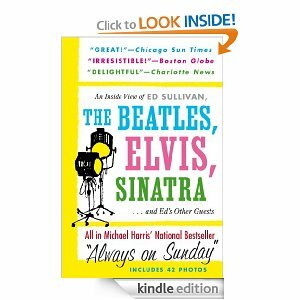 Mr. Harris’s Always On Sunday: An Inside View of Ed Sullivan, the Beatles, Elvis, Sinatra & Ed’s Other Guests is also available on Kindle. Catch-22 with radiation! Area 51 meets Dr. Strangelove! The biggest and baddest of America’s atmospheric nuclear weapons test regimes, Operation Redwing mixed saber rattling with mad science, while overlooking the cataclysmic human, geopolitical and ecological effects. But mostly, it just messed with guys’ heads. Major Maxwell, who put Safety First, Second and Third–except when he didn’t. In THE ATOMIC TIMES, Michael Harris welcomes readers into the U.S. Army’s nuclear family–their F-words were Fallout and Fireball. In a distinctive narrative voice, Harris describes his H-bomb year with unforgettable imagery and insight into the ways isolation and isotopes change men for better and for worse. Okay, Y’All…which would you like? We’ll Ebook Gift up to 50 Copies today from The RG2E!! !